#findthehappy is running a bit behind this week, please see my last post! Things might be a little higgledy piggledy for the next couple of months due to work. So this weeks #findthehappy is going to take a slightly different format. Usually we have 5 things a week that have made me happy. Last week we had one big super happy, so going to focus on that! We will do this in 2 parts because a) it is epic and b) I am not sure I can write this all in one go! Jezz turns 30 on the 28th June so as a birthday surprise I planned a trip to London to see The Book of Mormon and a stay in a posh hotel. 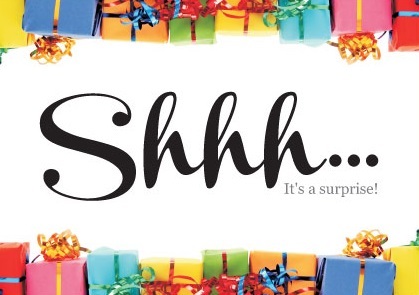 I booked it all in March so have been planning it for ages, finally last week it came around, time for the big reveal! I had “booked” the weekend up with a mysterious family event that I basically just didn’t actually tell him about. We have a shared calender so I put it in there and kept quiet not wanting to get tangled up in a web of lies! (I am a terrible liar, thank goodness I could look the other way and pretend to be looking at salad!). When we got back I presented him with a wrapped present, and early birthday present. After much squishing and shaking of said present he finally opened it to reveal a nice wooden elephant box…. and when he opened it, inside was all of the tickets. He was super pleased, but still hadn’t clicked that we were going that weekend! Haha! There was much celebration, and excited chatting. 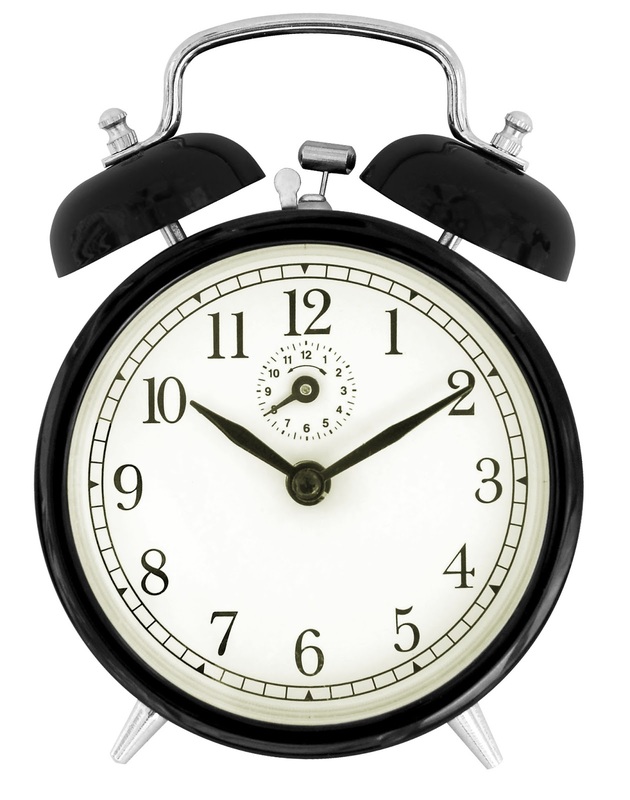 We went to bed at a reasonable hour after watching some Orange is the New Black and set the alarm for the morning to be sure to make our train! 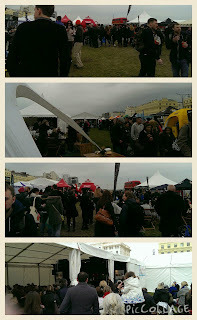 In part 2 I will tell you about our wonderful weekend in London! Happy #1 – One of my colleagues recently returned from a visiting her family in South Africa and bought us back some of the most delicious treats! I love trying things from other countries, we had some chewy sweets called Fizzer which were like a cross between Chewits and a refresher bar. A mixture of Nestle chocolates, guess a bit like celebrations we have here, a selection of different chocolates that are bite sized. The Peppermint Crisps were my favourite. So good! And some Biltong, which I am pretty sure I ate the most off. More please. Happy #2 – Salted Caramel goods! 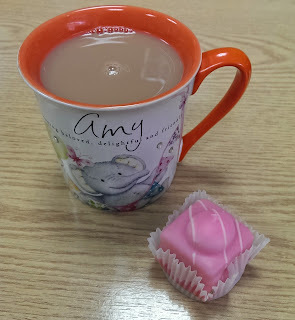 So this week I tried Options Salted Caramel Hot Chocolate and also a Salted Caramel muffin from Sainsburys. In France I had the most delicious Salted Caramel crepe and since then have wanted to eat all the salted caramel goods in the world. For the record this was over 2 different days not all in one sitting! The Hot Chocolate was great, but as with all Options hot chocolates (I find) that they are not blow-your-mind with flavour but still pretty tasty. The muffin was obscene but could have done with a bit more salt in that caramel. 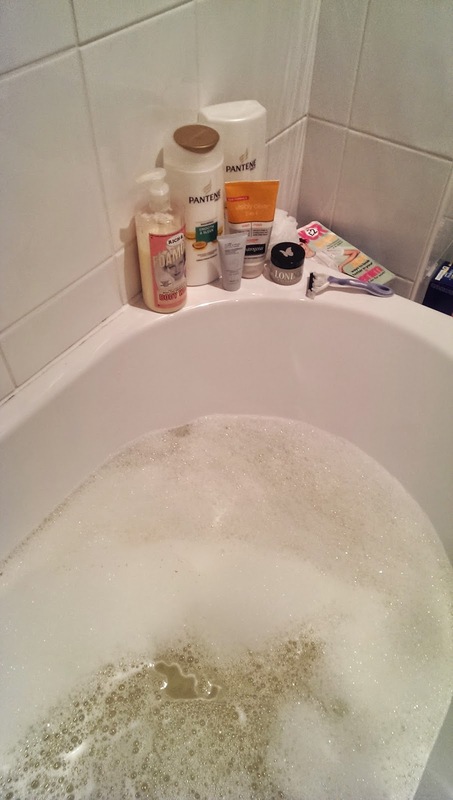 Happy #3 – May Day Bath Bomb – Baths are the best, it is just so nice to use the Lush goodies I got last week and chill out in some lovely smelling bath water. I like to put SkyGo on the tablet and sit in the bath watching TV until I am wrinkly. Lovely. 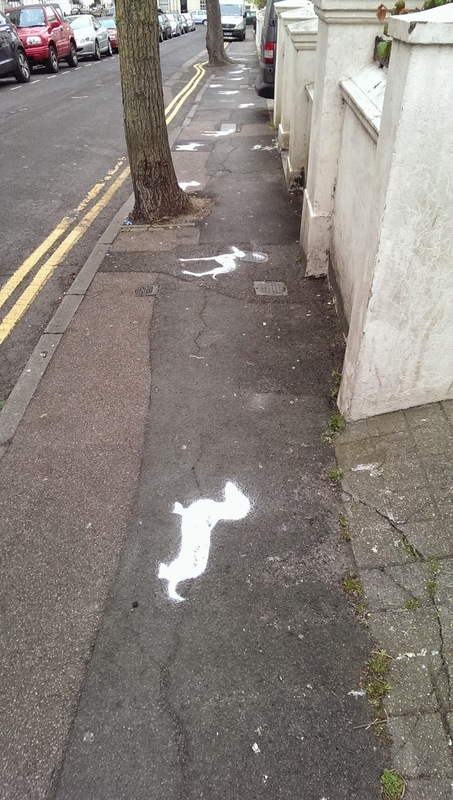 Happy #4 – On Thursday I went to see my parents in Peacehaven after their most recent trip to Portugal. We had a lovely evening with take away pizza and lots of cat squishes. We do eat other things than pizza when we get together by the way… hahahaha! 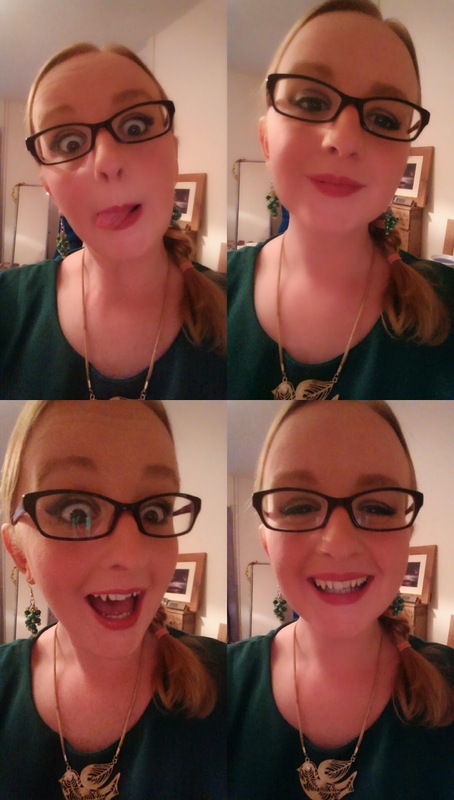 Happy #5 – On Friday we celebrated my friends birthday! She lives quite far from us in Brighton so we do not get to see each other as much as we would like but when we do we do it well!! We went to Jimmy’s restaurant at the Marina and then all came back to the flat for drinks and general merriment. Glorious time, drank too much rum. Had a fabulous time. I hope all that came did too! 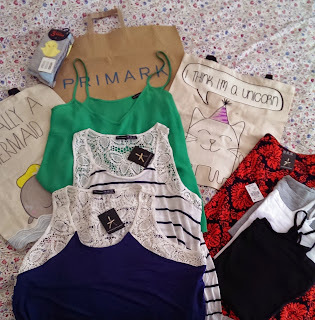 Happy #1 – After returning from our holiday in France I booked a couple of extra days off so on Monday I took a little trip into town and bought some bits. Having a mini shopping spree is always good to make me happy! I got some new shoes for work from Diechmann, a bargain at £17.99. I got 2 bathbombs and a bubbleroon from Lush. I got the Avobath bathbomb, May Day bathbomb and The Green bubbleroon. Stopped there, otherwise I would buy everything in the shop! I also got a few bits from Tiger. I bought a pedometer (used it twice so far, dropped it repeatedly and left it on my desk), some scissor shears and two sets of stamps. Happy #3 – Upon my return from France I had an email offering free goodies when you spend money at Clinique… never one to pass up a good deal (or absolute sucker, I am not 100% sure) for a freebie I bought a replacement Moisture Surge Extra Thirst Relief Lotion and a new mascara. Yes, hefty price-tag (I spent a total of £51.50 on the 2 items!) however look at all the freebies I got!! While Clinique are quite pricey if you time it right I think you can get the most for your money. I am certainly pleased with this haul! I got a free mini chubby stick, free sample of their perfume “happy”, a free sample of their custom serum and a “bonus time” with a whole bunch of stuff. I got a cute little make up bag which contained generously sized samples of the 7 Day Scrub Cream, Moisture Surge Extended Thirst Relief, All About Eyes eye cream, High Impact Mascara, and also an eye-shadow duo and full size lip stick. Really pleased with all of the items! Happy #4 – Friday evening saw myself, Jezz and a group of friends frequent our favourite drinking establishment the Lion and Lobster in Brighton. They do the BEST cheesy chips. Fact. They actually do a lot of really seriously good food, however after too many pints of cider, cheesy chips are the way forward. We drank too much, made a lot of noise, chatted and laughed. It was lovely. 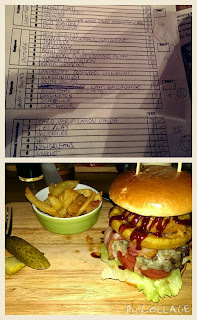 Happy #5 – Had a really lovely relaxing Saturday and Sunday. Jezz did some work and I coloured in my new adult colouring book. This is a thing! If you haven’t realised where have you been? Watched pretty much an entire series of Third Rock from the Sun, coloured and drank hot drinks. Brilliant. (Apart from the fact I now have a numb patch on my finger where I clearly am not used to holding a pen for so long!). There are hundreds of books and I spent ages deciding on one, and I chose Enchanted Forest by Johanna Basford. The book is a thing of beauty, the paper is beautiful and thick so there is no fear of pens leaking through and spoiling the design on the other side. The designs are so cute, lots of leaves and castles and animals. I love it! Although I am going to have to buy more green pens, pretty sure I will run those out the quickest. 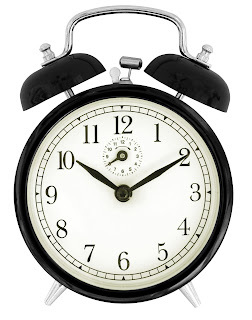 It is very therapeutic, switch of your brain, have a bit of telly/radio on and the hours disappear! It is nice to be away from the computer for a bit. Happy #1: On Wednesday evening I went over to see my friends Gemma and Mike for the evening and have dinner with them. We had the most delicious chicken, leek and mushroom doings (3 of my favourite ingredients!) and put the world to rights. Had a really super good natter with them and then because apparently they had not already been kind enough in giving me my dinner, they gave me a lift home. Super lovely evening. Happy #2: On Thursday I went over to my parents house to see them and to have dinner. It has been a couple of weeks since I last saw them (bad daughter) but we had a really lovely evening, with lots of giggles and homemade pizza – nom! Happy #3: This week I told lots of my friends about the blog! I have set up a Facebook page (please go “like” me!) so that my friends and family would know about my ramblings. They have all been really positive and encouraging which was nice. It is always a little nerve racking showing people that know you something creative that you have been working on. 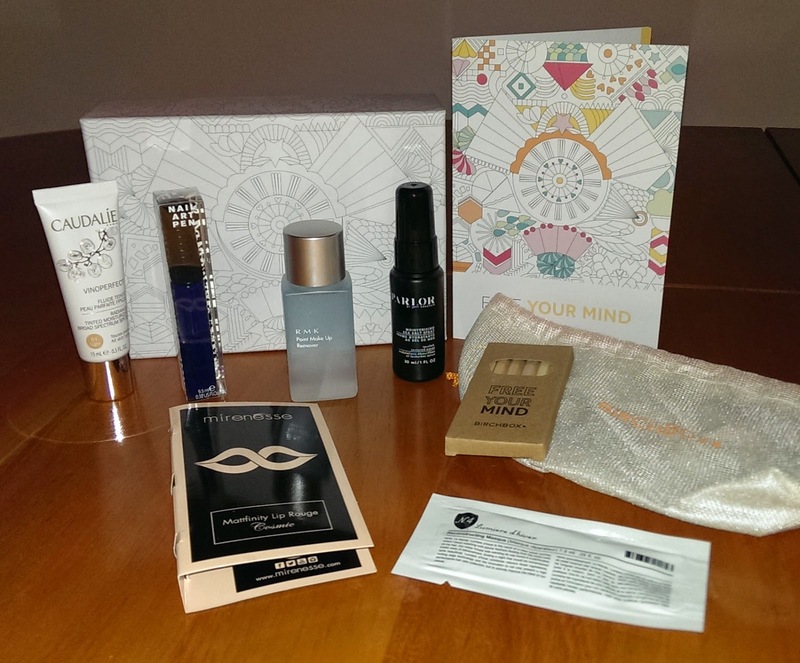 Happy #4: Birchbox came this week! It was full of great stuff again this month, and had a great theme of colouring! This seems to be all the rage at the moment. I got (L-R) Caudalie Vino Perfect Radiance Tinted Moisturiser, WAH London nail art pen in Navy, RMK Point Make Up Remover, PARLOR by Jeff Chastain Moisturising Sea Salt Spray, Number 4 Lumiere d’Hiver Reconstructing Masque and Mirenesse Mattfinity Lip Rouge. It also came with a little pack of colouring pencils and a box you could colour, what a fab idea! By far my favourite item was the WAH London nail art pen, it comes with a fine brush and a pen-like nib to do pretty patterns on your nails! It’s a bit tricky but with practise I think you can have some great fancy schmansy nails! Happy #5: On Sunday I had a really lovely day with the boy. We had a lovely lay in and then a nice cup of tea while watching an episode of House (now on the final season..boohoo!!) and then we went into town for lunch. 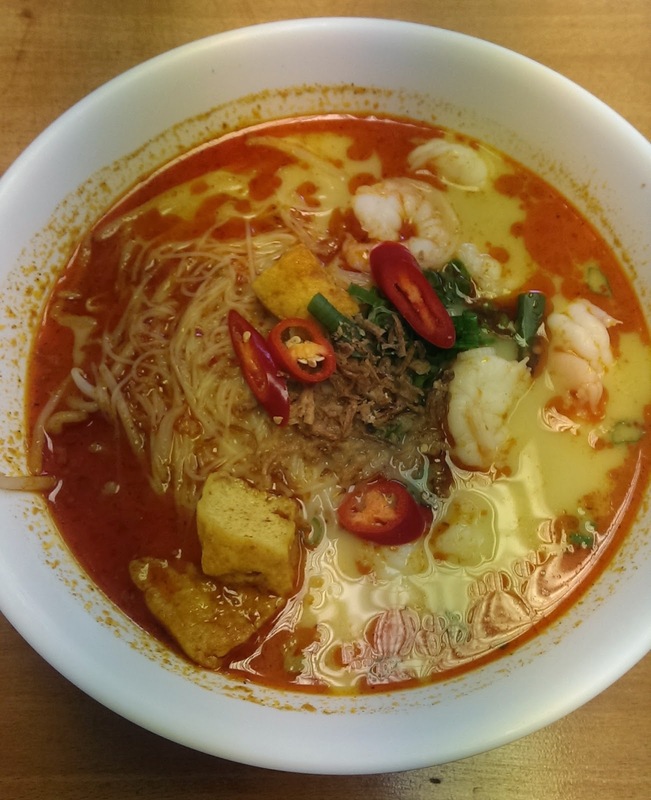 We went to Noodles soup, one of our current favourite places to go for lunch. 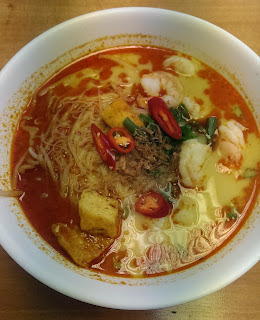 I had king prawn laksa with rice noodles, it was delicious! We then went to see The Avengers – Age of Ultron at the cinema. Can’t beat a bit of superhero action movie! Happy #1: On Friday I bought some French Fancies to work as a treat. I forgot how good they were. We did end up getting into a huge debate about whether or not the yellow ones are lemon flavoured. What do you think? The packet suggests they are not flavoured but I am convinced the yellow ones taste ..well.. yellow! I think a blind taste test is in order.. I will need to get more! Happy #2: Friday night was girls night, some of my best girl friends came over to my flat where we drank too much gin, sang very loudly and out of tune to Proud Mary. We danced and generally had a very silly, glorious time of it. I am pretty sure this probably wasn’t a happy for my neighbours however. Apologies to them. 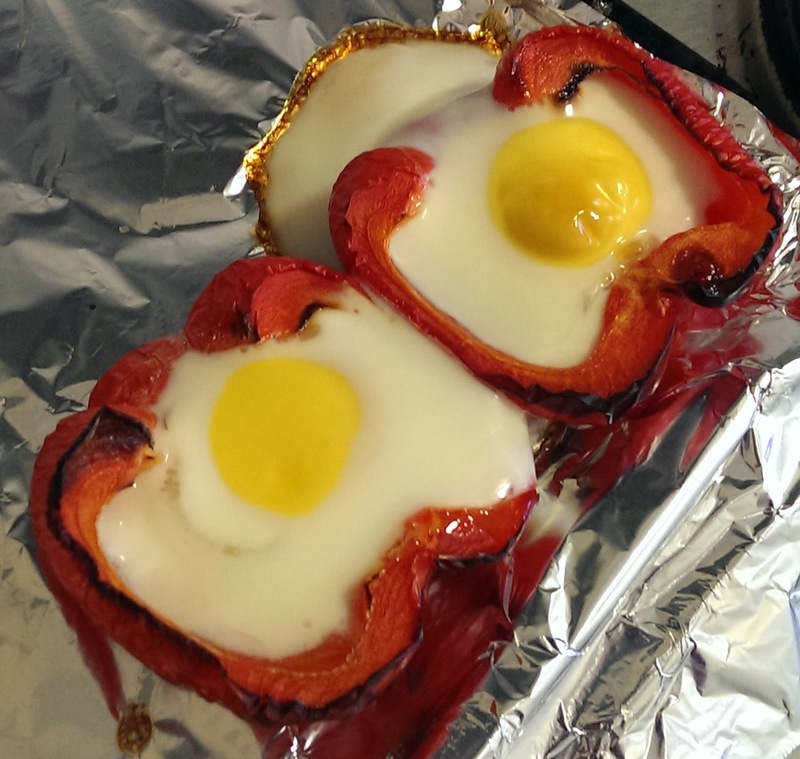 Happy #4: Eggy Peppers. My lovely work colleague Jenna has a rather splendid food blog with lots of delicious recipes – she recently did this egg baked peppers which I gave a go during the week. I cooked them for a bit too long but I love the idea! I think with more practise this will be delicious, roasted pepper and rich runny yolk.. om nom nom. She also did the same thing with an avocado… I will also be trying this. Check out Jenna’s blog Raw Rhubarb for more yummy, healthy recipes! Happy #5: On Sunday we went to Hangleton to see some friends and their beautiful children. Jezz & I, and my flat mate & her boyfriend are going on holiday with them at the end of the month so we sorted out the last few bits and went for a pub lunch at the lovely Hangleton Manor pub. I had whitebait for my starter, chicken roast dinner for my main and then Pimms Eton Mess for pudding all washed down with a lovely pear cider. Somewhat gluttonous but glorious. I had lots of baby cuddles with the newest addition to their family, lots of giggles, and excited holiday squeaks from all. Not long to go now!! Less that two weeks and we are off to Gatwick Woop woop! Happy #1: My new cleanser! 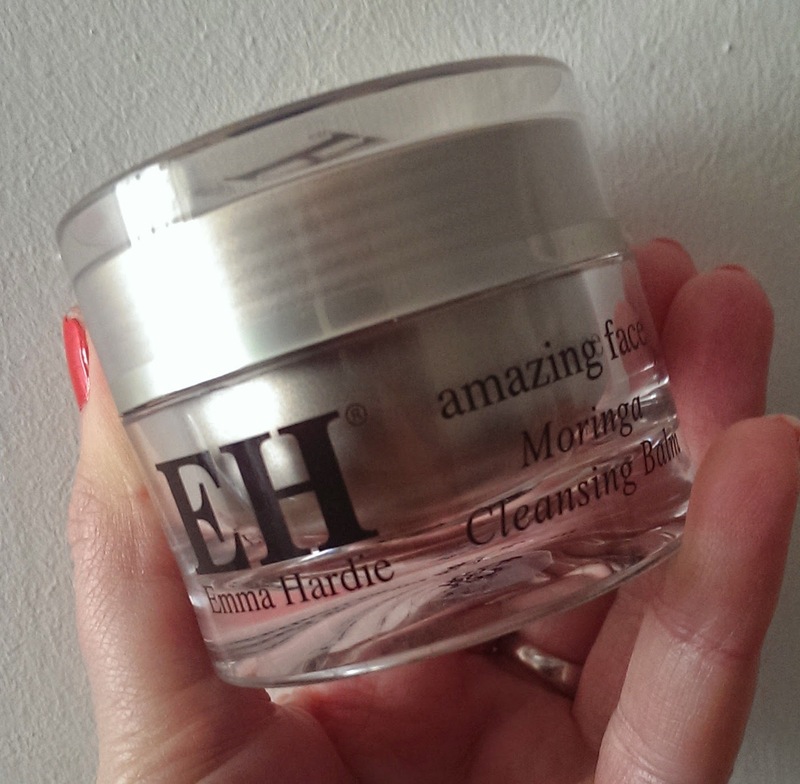 I have been dying to try the Emma Hardie Moringa Cleansing Balm and I treated myself to the 4-piece starter kit which arrived this week and it is just brilliant. Stupidly expensive but brilliant. Yesterday I posted my April favourites, this certainly made the list! Happy #2: My parents recently returned from another holiday in Portugal where they have been building a holiday home (check out my Dad’s blog here). They have lots of orange and lemon trees. 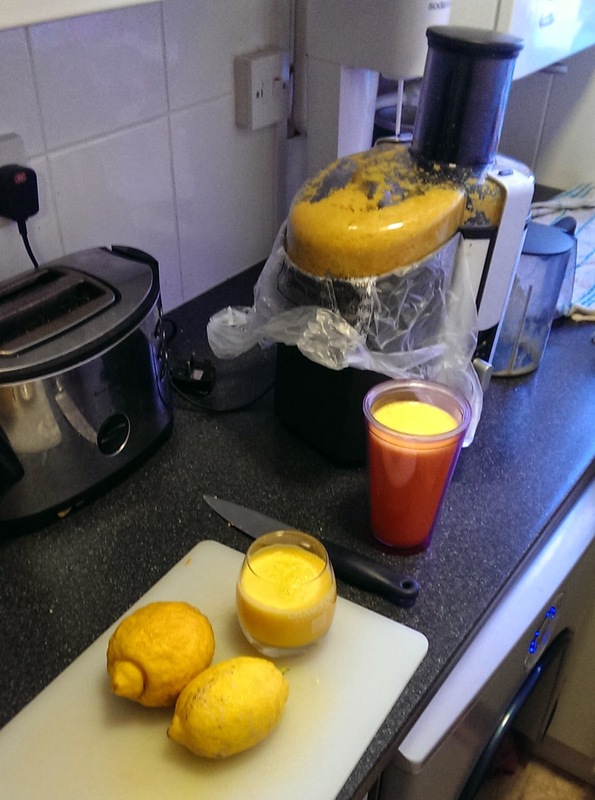 They gave me a huge bag of oranges which I juiced. They made the most delicious orange juice! 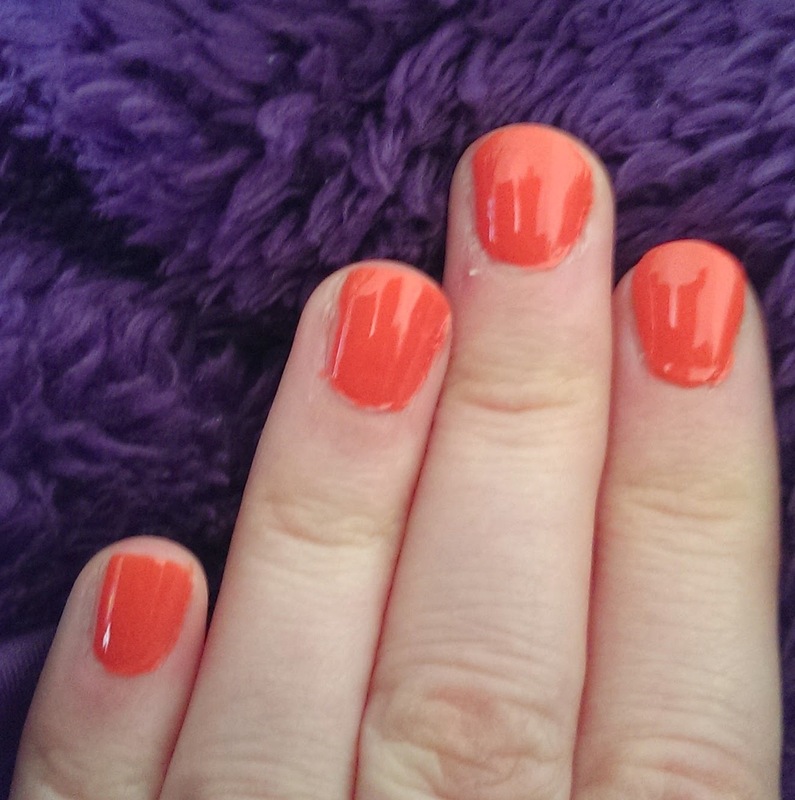 Happy #3: I have been dying to try the coral coloured nail varnish I received in this months Birchbox. I was not disappointed, I love it! I think it’s going to be great for the summer. 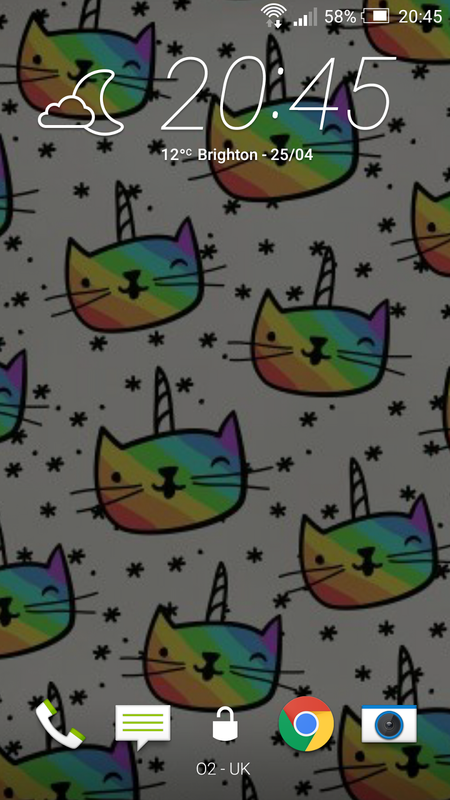 Happy #4: Rainbow Unicorn Cats as my phone wallpaper. What more can I say? I would probably wallpaper my house in this if I could…. Happy #5: Super super lazy weekend with the boy. As I have been riddled with a very serious case of the man-flu a lazy weekend was in order. Literally have worn my jimjams and been at one with a blanket and the sofa. Glorious. I watched Wreck it Ralph, Third Rock from the Sun (bloody love Netflix) played GTA V, drank numerous cups of tea and ate bacon rolls. We also watched Big Hero 6, what a marvellous film that is! Bliss. Happy #1: The sun shone this week. My new ray-ban sunglasses were on my face a lot and this made me happy. 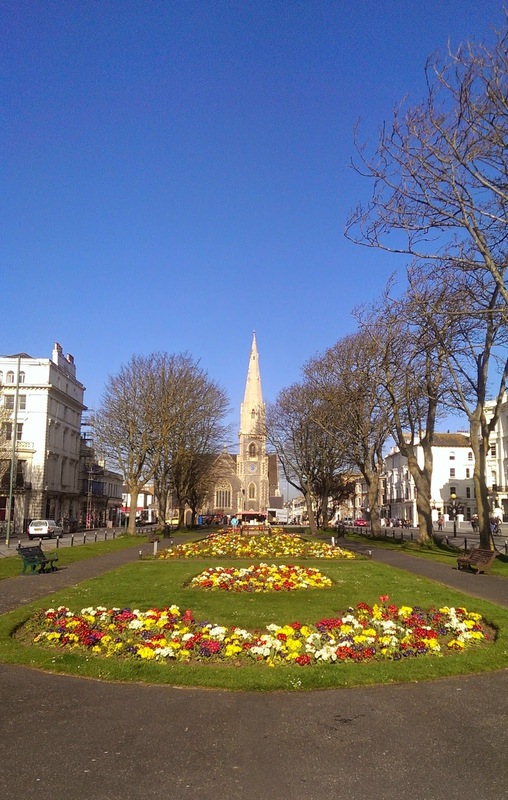 Palmeira Square, just outside where I work looked so beautiful this week with the lovely flowers. Happy #2: I had literally the most super awesome bubbly bath with lush karma bubble bar and Himalayan bath salts. Set up the tablet on the sink so I could watch YouTube videos, and had a cup of tea in my favourite mug. Just wonderful. Happy #3: April’s Birchbox arrived. Delivery was a little late this month, and communication from them needed some prompting but once I had heard from them it came pretty quickly, (perhaps I was being a little impatient!) The box was good this month. It included another Korres body milk which I am addicted too. This one was bergamot pear and smells soooo yummy. I am a bit obsessed with the citrus one (I am now on my third! Unheard of!) but might have to get this one too. It also had a full size coral nail varnish which I am looking forward to trying. 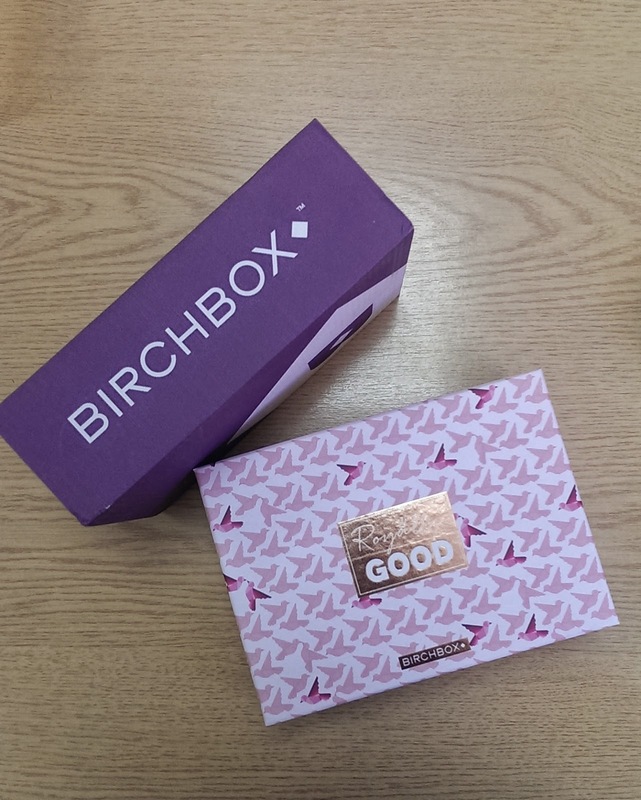 I will probably do another post about Birchbox, for those who don’t know what I am blathering on about, you will no doubt see me mention it on occasion. Happy #4: Saturday was my Grandmothers 81st birthday. We all gathered at my Aunties house for the most EPIC roast dinner ever, there were 3 legs of lamb… (I will add there were 14 people!) 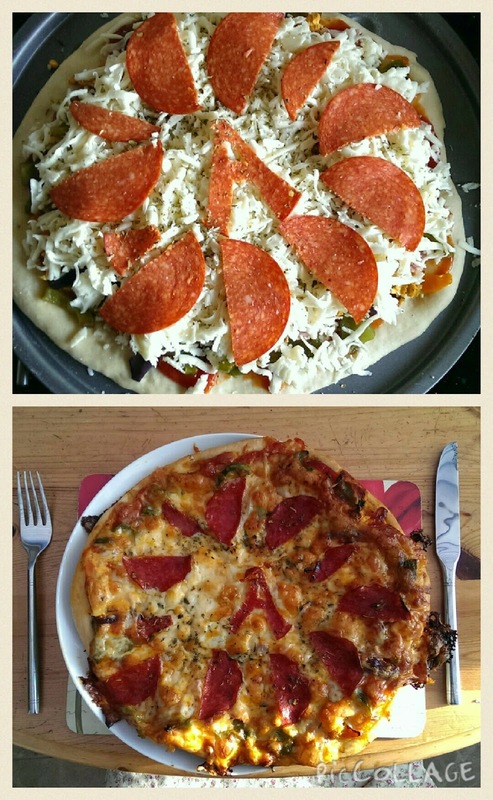 It was delicious and it was really lovely to spend time with my family. Jezz was very happy because there was Banoffee Pie(pronounced Banno-fey in comic style), his favourite for pudding. Nom. Happy #5: Skiing. Well I am not sure if this is a happy or not, yet. But it was a nice day and something I will definitely look back on so it’s going down! I had my very first ski lesson on Sunday! I was terrified. It seems the older I am getting the more terrified of things I am getting. It went okay. I fell over 3 times in my 3-hour lesson. About 2-hours in I wanted to cry and give up, falling down was quite a knock, especially when it involved a terrifying conveyor belt lift. It was quite fun going down when you got it right, but I did feel a bit like my lesson was a bit rushed and I really didn’t grasp the concepts fully. Just when I started to get the hang of something we would move on. There were 10 people in my class, right at the maximum so I think this is probably why we were a little pressed for time. I am very much in 2-minds about it now. I didn’t hugely enjoy it, but I didn’t fully hate it. I was terrified and psyched myself out a bit I think. I want to like skiing, but I am not sure I do yet. I need to have a think and look at the lessons and how I am going to play it. I would be tempted to take the first 2 lessons again. I certainly do not think I am going to be ready for a ski holiday any time soon. Aside from all this, it was a really nice day. Jezz and I got up super early and drove to pick up our friend (who is quite an experienced snow boarder) from his house in London. We stopped and had a breakfast wrap from McDonald’s (mmm naughty) then continued up to SnoZone in Milton Keynes. I had my lesson while the boys did their thing. They carried on a couple of hours after me and I had a little wander around the few shops they have there (might have purchased some pricey Roxy tops in the sale) and then sat with a cappuccino watching all the skiers. Once they were done we headed back to London and had Chinese, dropped off our friend and then came back to Brighton. Shower and bed. Exhausted! Skiing is hard work. I consider myself somewhat of a positive person, or at least I try to be. I had a bit of a sucky time of it a few years ago, and I decided that life was too short for negativity or regret. I will always try to make the best of the situation or if something bad happens try to look at it in such a way to see what I can learn and take away from it. Sometimes easier said then done, but essential I try to live my life as a “glass half -full kinda gal”. So the idea behind “Find the Happy” is to draw 5 things each week that have made me smile, or happy. Something that it is worth remembering at some point. So on the days when it’s hard to find something to smile about, I will have a list of things that I can look back on that have. Happy #2: Half price Easter chocolate in Waitrose. Nuff said. 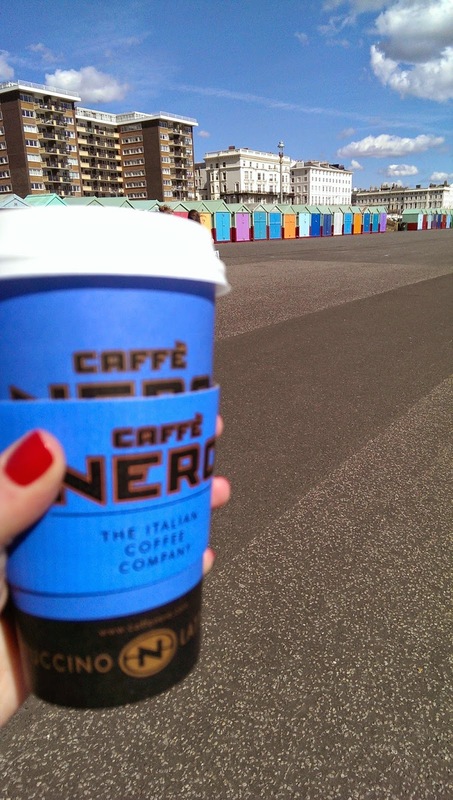 Happy #4: Walking in the sunshine along Hove seafront to Brighton town centre with a large vanilla latte with some of my favourites. 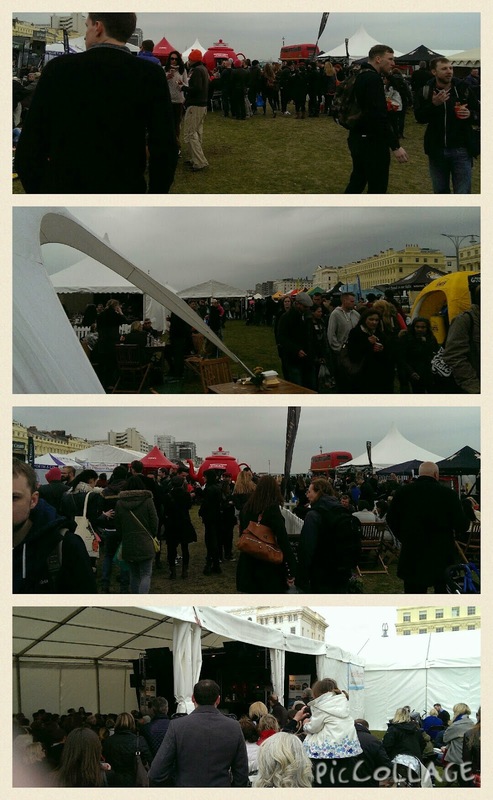 Brighton is literally the best place to be when the sun is shining. Happy #5: Steak cooked in the George Foreman. Although I managed to burn my foot in the process. (There is a reason they say to let it cool down before you clean it!) Washed down with asparagus, grilled tomatoes and homemade mushroom sauce. I would have taken a picture but I ate it too quickly. Nom. See you next week for more #findthehappy, feel free to join in! I look forward to hearing about what has made you happy this week.